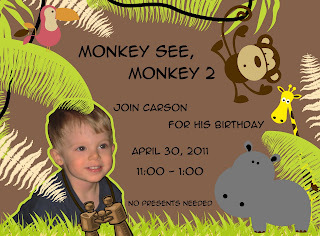 Here is the invite we created for Carson’s 2nd birthday last weekend (isn’t he adorable!!!). 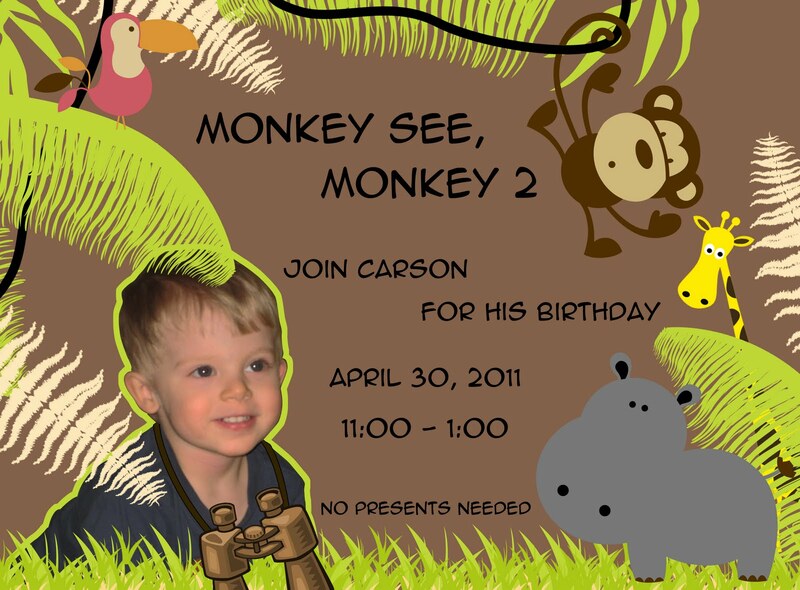 Carson LOVES monkeys so we created a monkey theme party for him. Carson’s grandma baked and decorated this adorable monkey cake. This entry was posted in birthday party, jungle party, monkey party on May 2, 2011 by Setting the Mood.